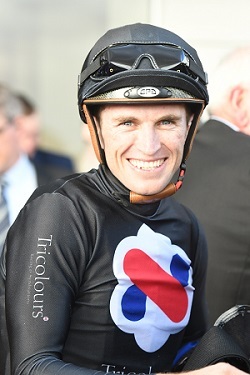 That was what Josh Parr bellowed as he hopped off Pecans in front of a thrilled crew of owners, having just steered the mare to victory in the G3 Godolphin Crown (1300m) at Hawkesbury. The win had extra significance for Parr with Skilled, the sire of Pecans, providing the jockey with his first ever Group One win back in 2010 in the Champagne Stakes for Peter Snowden. “It’s nice to get a black type winner for my man Skilled, he was my first Group One winner so that’s cool,” said Parr. “It was my first sit on the horse but I was really pleased with the gate speed she showed in the race because it put us in a forward position without doing any work at all. “White Moss took the race up and we were able to get a drag off it which was ideal. It was just a really good effort and she was there every step of the way for me. Trainer Joe Pride revealed that the four-year-old had won first up over 1300m on the back of a minor setback too, making the win even more impressive, with a high white cell count holding her back. “She has never run a bad race for me, finishing no worse than second in her past nine runs. She is so honest and straightforward,” Pride said. The irony of the victory was that Pecans was an ex-Godolphin horse taking out the Godolphin Crown, and as Pride rightly pointed out Parr is a former Darley jockey too.